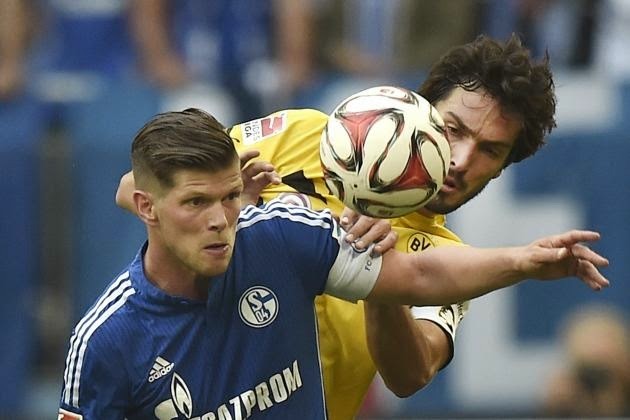 The Revierderby, also known as the Ruhr Derby, is arguably the biggest rivalry in German football. 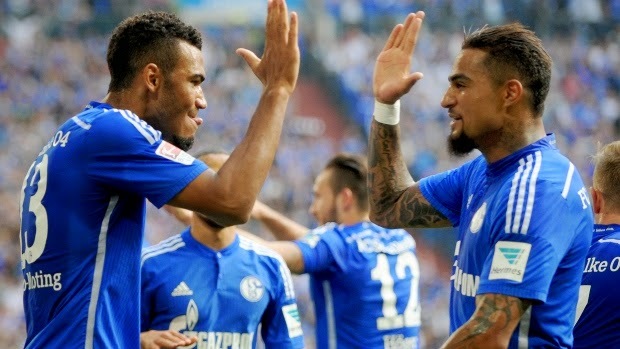 As early goals Joel Matip and Eric Maxim Choupo-Moting led Schalke to a 2-1 victory over bitter rivals Borussia Dortmund on Saturday, it moved Gelsenkirchen ahead of Jurgen Klopp's side in the standings. It was just the latest installment of the battle between the two Ruhr based sides with a history pre-dating the Bundesliga by some forty years. Whereas the Munich derby isn't much of a contest, with Bayern being a much stronger and richer side than 1860 for virtually all of their history, the Ruhr derby is incredibly competitive. The clubs began their rivalry back in 1925 and was dominated by Schalke in the early years, with the club winning 14 matches of their first 16 meetings with Dortmund, with only one loss and a draw. 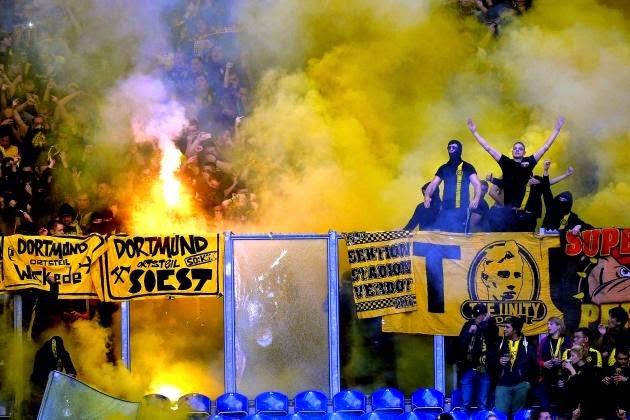 In the post war era, Dortmund began to establish an edge as they would lose only 7 of their 32 meetings with Schalke in the period from 1947 to 1963. With the advent of the Bundesliga, the meetings between the two sides have been completely even with each side triumphing 29 times over the other and 21 of their matches ending in draws. The contests between the two sides feature incredibly passionate crowds and like a lot of the best rivalries in football is driven by fierce local pride in this highly industrial part of Germany. An interesting fact is that although Dortmund's Signal Iduna Park boasts a higher capacity than the Veltins Arena, Schalke's membership numbers are much higher than that of their neighbours. Whereas Dortmund have won 5 Bundesliga titles, Schalke have never won the league and suffered the ignominy of having Dortmund beat them on the final day of the 2006/2007 season to deny them their first title. 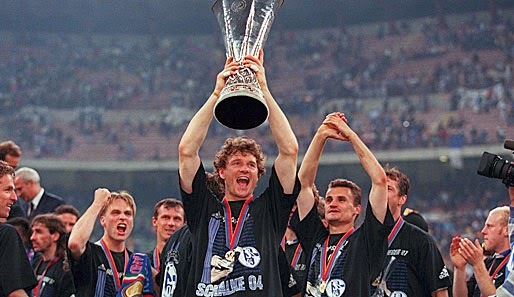 Even one of Schalke's greatest triumphs, that of beating Inter Milan to win the UEFA Cup in 1997, was overshadowed the next week when Dortmund won the Champions League. So needless to say, Schalke's fans will more than savour their victory yesterday.